The first is the all new Planar 3, taking its name from the venerable classic of old. As you can see it's a bit of a looker, with a new gloss plinth available in black or white and a new ploished rim platter which looks simply stunning. 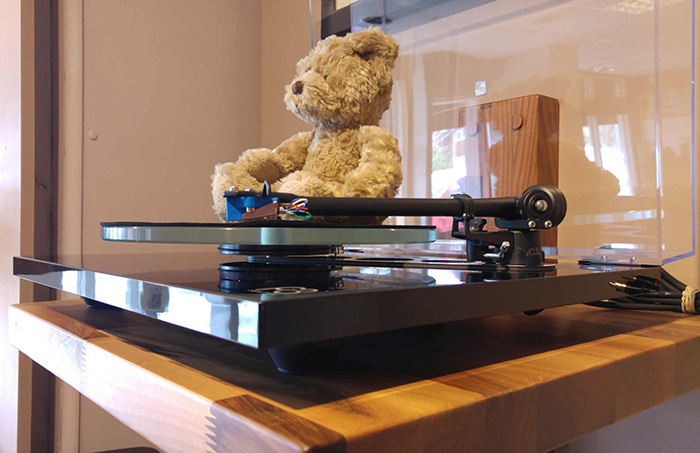 There are a host of new refinements and updates including the new RB330 tonearm which in itself has been re-designed, better bracing, a new bearing housing and a new sub platter. The end result is a turntable that looks so much more expensive than it actually and delivers a massively improved performance. Speaking of performance, we've just spun it up and this record player really communicates the music so well! Boswell was there at the launch during the Sound and Vision, The Bristol Show in February. But he seems more than happy to have finaly got his paws on one in store. The artwork has been designed by Pete McKee the Sheffield artist whose work has been associated with such luminaries as Oasis and the Arctic Monkeys and depicts his vision of "Club Rega"
The turntable is, of course, a very fine sounding RP1, but with that added cachet of being a limited edition. 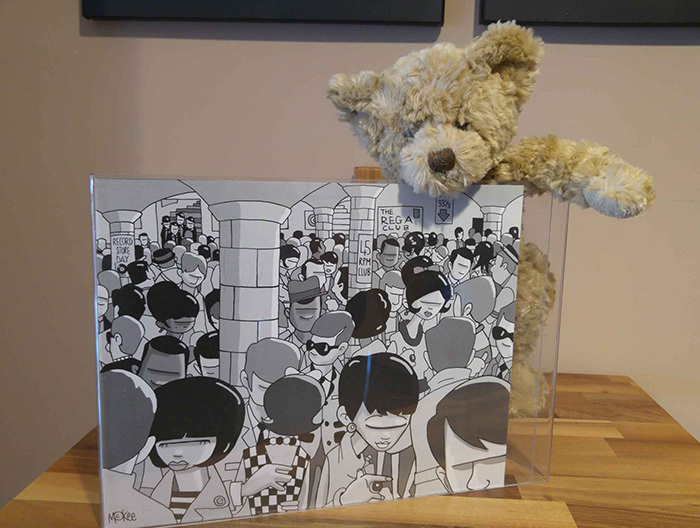 Each one comes with a print of the original Pete McKee artwork in the packaging. 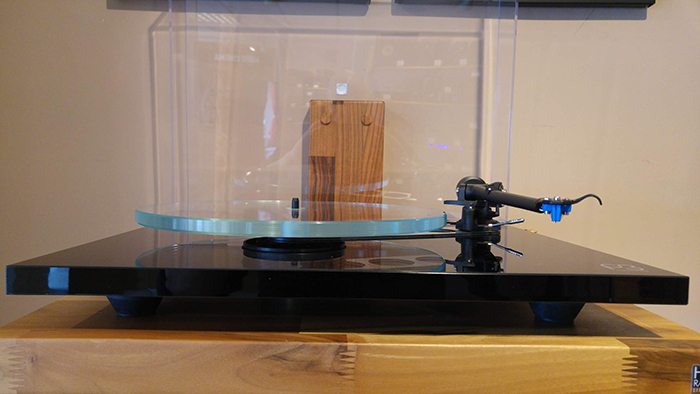 So come and have a look and listen to these new gems from Rega. We'll look forward to seeing you.